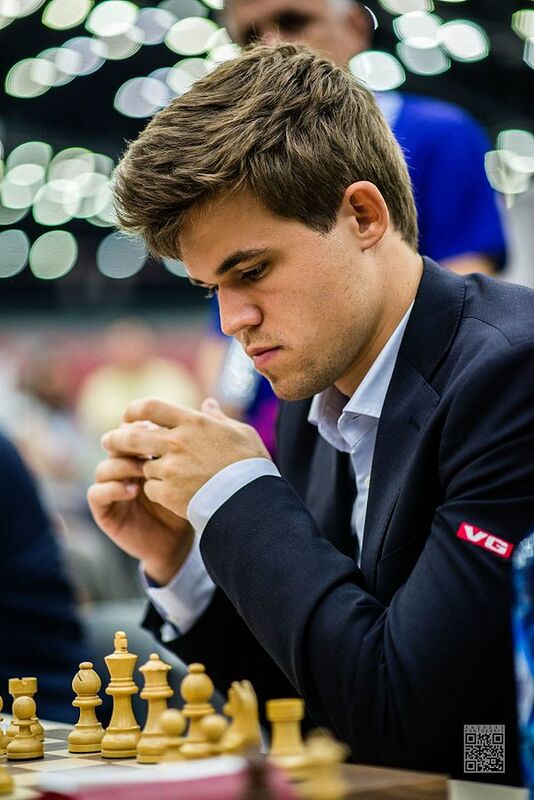 The dust has barely settled on last year’s World Chess Championship match in New York: Norway’s Magnus Carlsen defended his title against the tough challenger Sergei Karjakin, in a close match. The event got me thinking about the language of chess strategy, and tactics, and the curious history and multicultural origins of chess terminology. Chess has been around for centuries and The Game and Playe of the Chesse was among the first books printed in English by William Caxton in the late fifteenth century. It is not actually a book of chess instruction in the modern sense. Rather it is an allegory of medieval society with a king, queen, bishops, knights, and rooks, and with pawns representing various trades. Each chess piece has its own moral code, together representing a kingdom bound by duty rather than kinship. Caxton used a French translation as the basis for his book and the English word chess is a borrowing from the Middle French échecs. But the story is older and more complicated than that. Chaturanga was introduced to Persia around 600 AD and the rajah became the shah. Persian chatrang became Arabic shatranj and made its way to Morocco and Spain as shaterej. The word check, meaning an attack on the king, was adapted from the Persian shah. A player would say shah to announce an attack on the king. The expression checkmate came from the situation in which the king is attacked and has no defense: shāh māt means “the king is dead” and this connotation of regicide persists in the Russian name for chess: shakmati. “Carlsen Magnus” by Andreas Kontokanis. CC BY 2.0 via Wikimedia Commons. In Latin, the game was not named after the killing of the king, but after the attacks themselves—the checks. It was called ludis scaccorum (game of checks) or, when shortened, scacchi. The Latin word for check later gave us the Middle French eschec, which became échecs in the plural and chess in English. Along with the modern name, French is also the source of some of the game’s fine points, such as the en passant rule, which permits the capture of an opponent’s pawn when it moves two squares on its first move passing a pawn of the opposite color. It is the source of the expression j’adoube, used when a player wishes to adjust a piece without moving it. For a time too, players would announce gardez when the queen was under attack or en prise. But the warning is no longer customary. French also contributes to the confusing noun stalemate. The Middle English word stale is probably from Anglo-French estale which meant “standstill.” When a player did not have a legal move, that counted as a win, so stalemate was a victory by standstill. Today a stalemate in chess counts as a tie, and the word has been extended to a more general description for a deadlock. En passant, j’aboube, gardez, and en prise have been less successful as general terms. The same can be said for the Italian word fianchetto, from the diminutive of fianco which means “flank” and referring to a particular deployment of one’s bishops. German is the source of a number of chess words, such as Zugzwang, referring to the situation in which players have no moves that will not weaken their position Zugzwang has been extended to refer to situations in which the pressure to do something is counterproductive, as in the following examples from Zugzwang fan Nate Silver (from 2008: “Either way, it is a reminder of the state of zugzwang that McCain campaign finds itself in” and from 2016: “For Clinton, this is a zugzwang election where she’d rather stay out of the way and let Trump make the news”). German gives us the monosyllabic term luft (“air”) referring to a flight square made by moving a pawn in front of a king’s castled position, which we find in Luftwaffe and Lufthansa, and the derisive patzer, used to describe a poor player (cognate with the verb patzen meaning to bungle). The German verb kiebitzen (“to look on at cards”) makes its way to Yiddish as kibitz and refers meddling in games by spectators. Many modern tactical terms are of English origin. There are pins (when a piece cannot move because it would expose a more valuable one) and forks (double attacks), both terms dating from the nineteenth century. Twentieth century coinages include the windmill (when a rook and bishop work together to both check the king and capture material) and the x-ray or skewer, where a piece indirectly attacks an opposing piece. One of my favorite terms though is the smothered checkmate, a term which dates from about 1800. This occurs when the king is surrounded by its own pieces so that it has no flight squares and is checkmated by an opponent’s knight. It is a rare occurrence but when it happens it will take your breath away. Featured image credit: “Reflected Chess pieces” by Adrian Askew. CC BY 2.0 via Flickr. Edwin L. Battistella teaches linguistics and writing at Southern Oregon University in Ashland, where he has served as a dean and as interim provost. 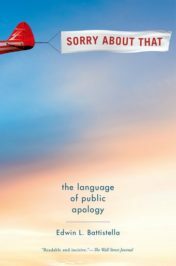 He is the author of Sorry About That: The Language of Public Apology (OUP 2014; 2016), which is now available in paperback. His other books include Do You Make These Mistakes in English? (OUP, 2009), Bad Language (OUP, 2005), and The Logic of Markedness (OUP, 1996).